Whoa, adidas aren’t going for the popular vote when it comes to raiding their substantial archive, but they know a good shoe when they see it. The Torsion Integral and Torsion Allegra weren’t the most obvious picks, but both shoes had some forum love directed their way. 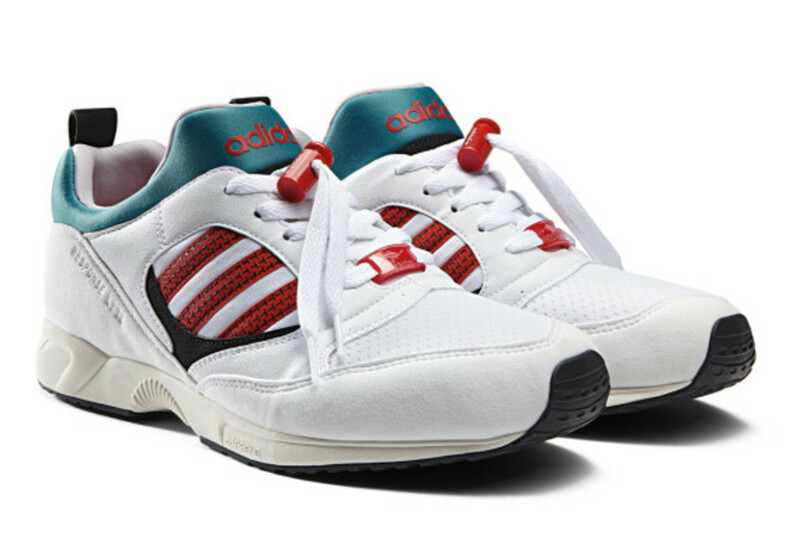 The adidas Torsion Response Lite is a barely seen design which dates back to the mid 1990s and was —like the resurrected 1994 Torsion Allegra — a sequel to a shoe of the same name from the 1992 era. A perfect partner piece for some recent reissues, this retro of an update of the Torsion Response is actually slightly upgraded with modern materials (does that make it an adidas Torsion Response Lighter? ), quietly applying ADIPRENE to that sole rather than the previous technology. We think this was another one picked from the vaults for its on-trend looks, one-piece performance fit and lack of overt performance branding. There’s a lot of nice detailing here — the little T pattern on the stripes, the cross Torsion bar and the Jordan VI-esque lace fastener (and we’re easily swayed by a spring-loaded addition to the laces) are all welcome. We don’t know if these are destined to be slept on like they were the first time around, but watching adidas put out the 20 year old rarities is something to celebrate. Teal, white and red is the best colourway we recall seeing this shoe in (there was a drab grey edition too), but when the neons come out to play, we think this silhouette will turn a few more heads. These arrive in the store in the next couple of days.